Featuring Christmas Nativities from Christmas Designers including Mark Roberts, Kurt Adler and More. 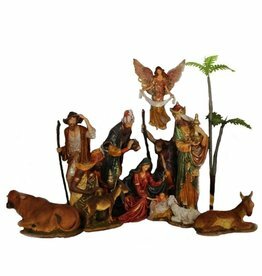 Find Christmas Nativity Collectibles and Religious Nativity Gifts many of which may exude individuality and personality resulting from hand painted and fabrication by skilled artisans. Some of the Mark Roberts Limited Edition pieces include a Certificate of Authenticity and may be registered to assure that your name will be listed as the owner of the limited edition piece. 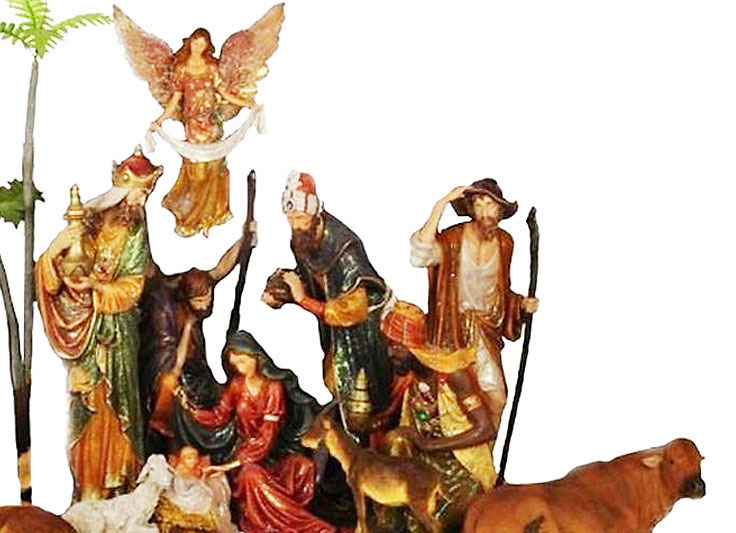 Check out all of Nativities from Large to Small! We have a size for any niche, mantel or tree. Size: 8 inches. 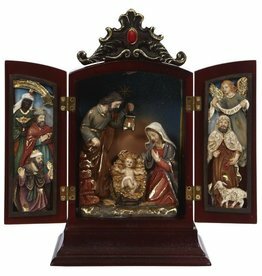 Collectible Nativity Triptych Gift Box with Holy Family with Angel and 3 Kings. Christmas Nativities and Holiday Decor by Mark Roberts Christmas Collection.